Our friendly team of dentists, dental hygienists, dental assistants and administrative staff love caring for the oral health of our community. You’ll be sure to receive a warm welcome upon your arrival at our office, and during each portion of your appointment, your dentist and hygienist will be glad to talk you through the process, and answer all of your questions. Our office features a variety of dental technologies for your comfort and convenience, including digital dental impressions and x-rays, as well as a dental curing light to enhance the effects of teeth whitening agents. From on-site parking and wheelchair accessibility, to automated appointment reminders and extended office hours, our office policies and procedures are designed for our patients’ convenience and comfort in mind. It’s our goal to make your dental experience go as smoothly as possible. Our administrative team will bill your insurance directly for your treatment for a more efficient dental experience. We want our patients to be able to access the dental care they need on a budget that works for them. To this end, we offer flexible dental financing. This means you’ll never have to let finances prevent you from getting the dental treatment you need and deserve. 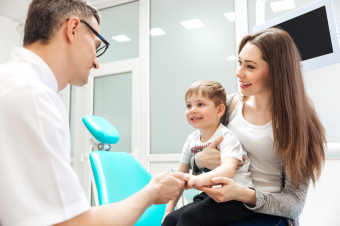 We know that visiting the dentist can be a stressful experience for people with dental anxiety, and it’s our mission to help alleviate that stress as much as possible for our patients. We will be more than happy to talk to you about your anxiety ahead of your appointments, and establish a plan to help you manage it throughout the process. During your appointment, we will work at your pace, answer your questions, and take breaks when you need them. If you’re looking for a dentist in Winnipeg, we would be delighted if you would consider us! Contact us today to get started.